Wow, these photographs are absolutely stunning! I love the blouse, the colour is beautiful on you. 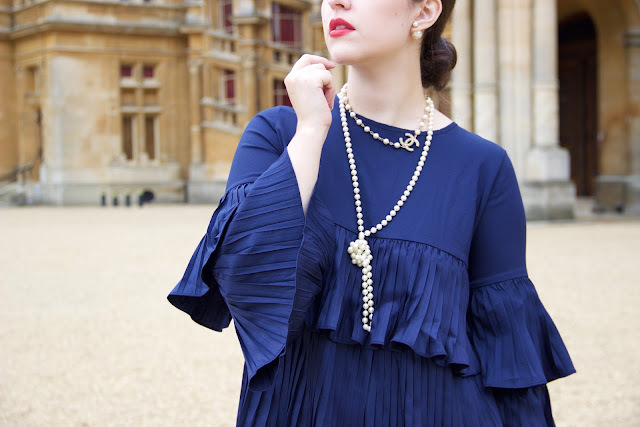 I know I've said it in the video, but I do really like the way the pearls look in against the navy blue! 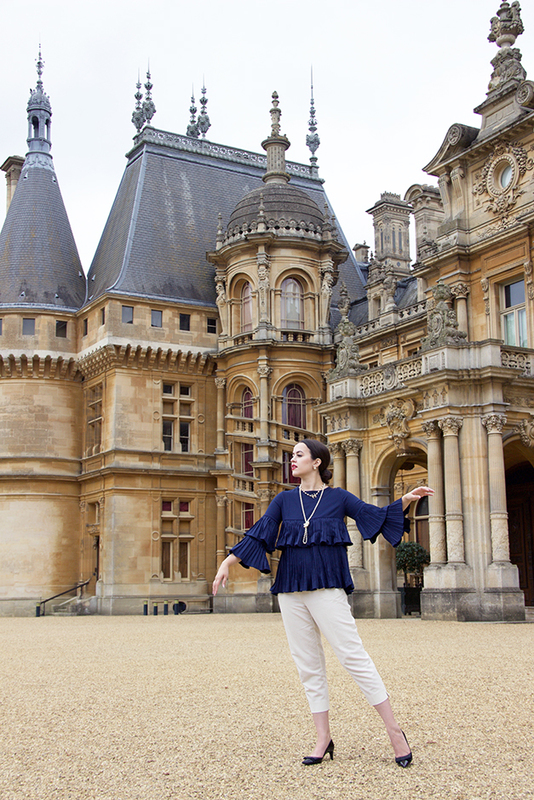 Love these photos - I need that blouse! And I'm totally the same! 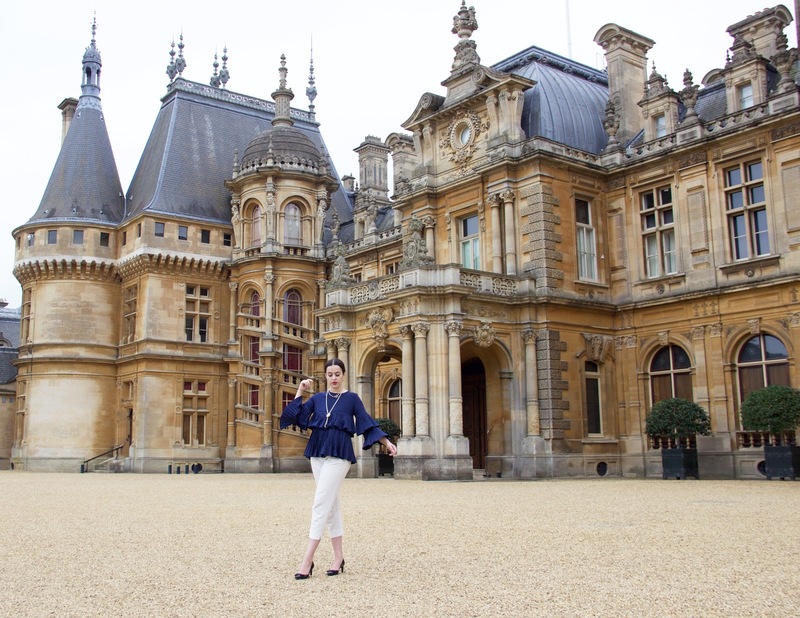 I love visiting stately homes and fabulous old buildings with amazing architecture - I agree, Waddeston Manor really does look fairytale like! Waddeston manor looks SO incredible! 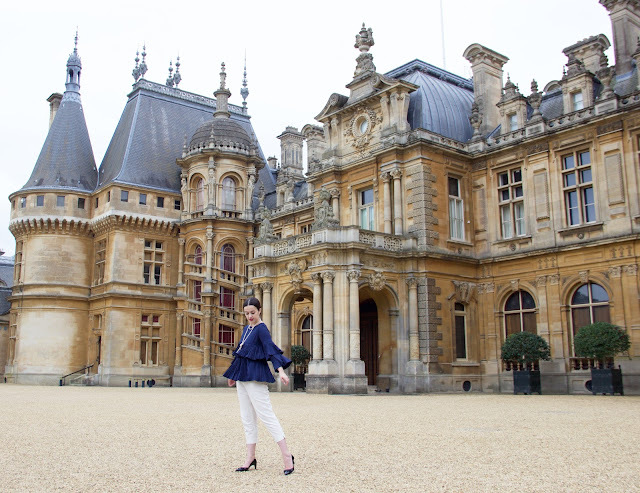 Extremely gorgeous..The manor, the pictures and YOU! Lovely post! I love to visit stately homes and would highly recommend Chatsworth House - its gorgeous inside and out! Castle Howard, Hardwick Hall and Harewood House are all lovely too.